I bought a machine about 3 years ago now after watching some kirstie allsopp crafting programme on TV with the intention of doing machine embroidery and applique and to maybe make a few small person garments. 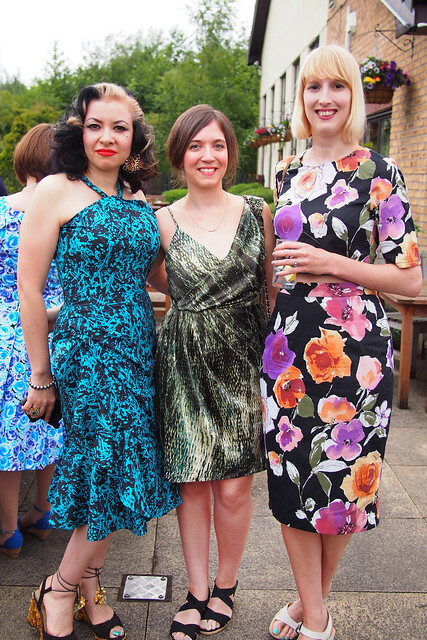 When I discovered sewing blogs I realised that people who were relatively new to sewing (as in a few years of experience) were making gorgeous wearable garments! And the rest is history! Ah you’re fairly new as well then. The learning curve can be pretty fast if you’re dedicated enough! I cannot remember not knowing how to sew, but I only came to garment making in the last two years. I have an absolutely amazing grandmother who was a professional seamstress. She was brilliant at her work, and a raging perfectionist. She smocked little girls dresses, did wedding dress commissions and made all manner of clothing. After she downsized/retired when I was a toddler, she stopped the dressmaking, and learnt patchwork. And her work was wonderful. I am typing this sitting next to the quilt she made me, and every point lines up perfectly. She taught me from a young age patch working, and eventually paid for me to go to classes for around eight years. Dressmaking was always in the back of my mind, but I was slightly terrified to ask my grandmother for help, as she is a raging perfectionist. About two years ago I decided to take the plunge, started reading blogs, and jumped in. By this point my grandmother had developed Alzheimers, and had given up all sorts of sewing a few years earlier, as it frustrated her not being able to sew fast enough. She now admires my finished creations and fusses over them. I use her entire stash, of which parts of will last me years. So, my dressmaking skills are predominately self taught, but I did pick them up rather quickly thanks to the foundation she taught me. Great story, thanks for sharing. It’s lovely you can share your progress with your grandmother; mine’s always very impressed by my makes too so I always make sure to wear a handmade dress when I see her. I first learnt to sew from my mum and then again in high school home ec. I didn’t start sewing consistently till I was 20. I discovered sewing blogs and decided I wanted to make my costume for my 21st that was Grease themed. I started a blog at the same time. 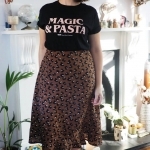 I have been sewing and blogging for about 7 years now but it’s only in the last year or so that I feel I have figured out my own style and been making clothes that I really love and will last me a while. It’s that last bit that’s really key and the hardest to learn, isn’t it? This is great! 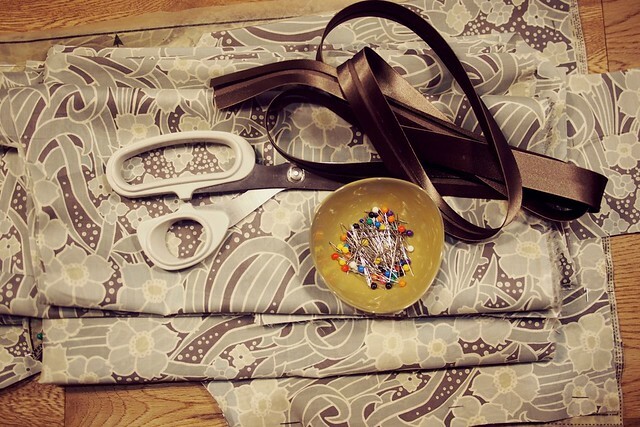 I love hearing how people started out sewing so thanks for sharing! I remember that LJ community! I never posted in it, but I do remember looking at it for inspiration on occasion. My story is pretty straightforward. My mom started teaching me when I was 7, and it’s been pretty much that and what I’ve taught myself, since I’m more into clothes sewing than she is. Wahey! While my mum didn’t teach me directly I think her influence definitely got me started. This is such an inspiring post, Katie! I have sewed off and on since childhood, making a pair of shorts or pants here and there but generally set my sewing aside regularly to make other things..
My great-grandmother also earned her living during the Depression back in the 1930s after becoming widowed at 30. She would take me to the fabric store once a year when I visited her and I’d pick out a pattern and fabric and notions and she’d sew it after she put me to bed. In the morning the dress would be pressed and hanging on a door knob ready to wear. 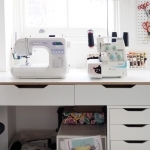 I still feel sewing connects me to her and hope to build my skillset quickly. Your traits: tenacity, fearlessness and reflection? I’ll keep them in mind as I start working on my first dress. Many thanks, Katie! What a lovely story about your grandmother! I think about mine when I sew, too. Love to hear how you started ;-) I’m pretty new in this world and I don’t really know many people with this hobby ( some of my friends also consider like and old style kind of grandma hobby ;-( ) so it is amazing and really helpful for me to read yours and all the other blogs, it keeps me motivated ( ohh I would love to make my own jeans one day). Oh, I think the most useful skill is unpicking and knowing how to fix a mistake! And you must celebrate the victories too. Great post! My mum taught me to sew when I was about 9, but I can remember my teens being fraught with disappointment when nothing I made seemed to fit! I remember once saying to her that I needed an instruction book titled ‘Sewing without tears’ as that’s all I seemed to do – cry! Clearly I was a child of drama. Anyway I really only learned about the concept of fit a few years ago, through the world of blogs. My only piece of advise to my past self would be to buy one solid piece of fabric for every 2 pieces of patterned! I didn’t have that problem sewing with knits as a teen, but it definitely came to haunt me when I started with wovens a few years ago. I like the tip about solids, ha ha. I need that advice now! When I was younger I used to hate looking the same as everyone else so I did a lot of refashioning and sprucing of old garments! After I had my lil boy I decided to try and sew “properly” mainly to be honest because all my old clothes were getting worn out, and we didn’t have the disposable income for more, I did however have a stack of fabric and a sewing machine! Now we have a better income but I’m still making my own clothes! Great story, you don’t really hear of many people who sew to be thrifty or save money these days! So I’ve only now just realised that your old blog was ‘oh my stars’ Your buttony sweater was one of the first knitted garments I ever made. I feel like a dope for not putting two + two together earlier. Ha ha, indeed that was me in a previous guise. I’ve obviously aged! 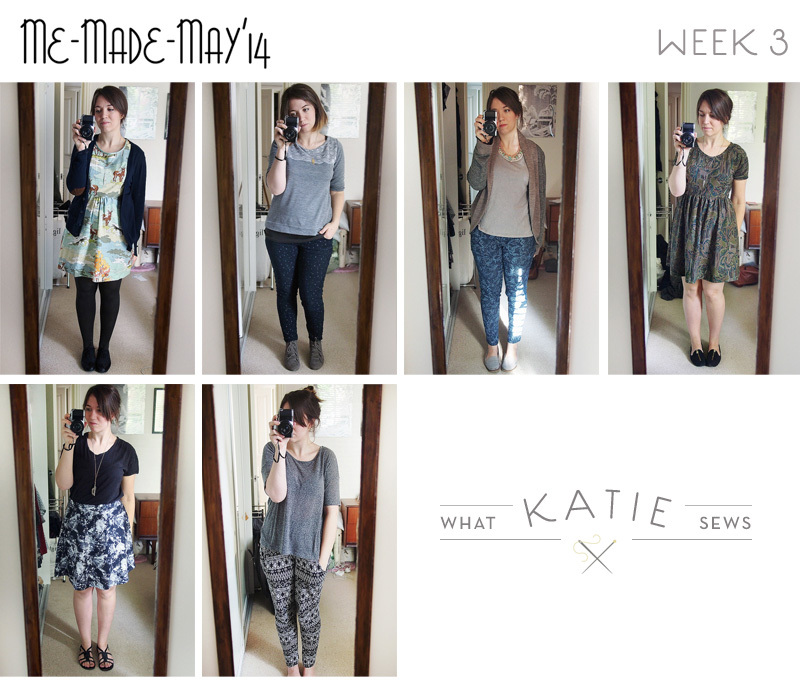 It was interesting to read about how you got started in sewing, Katie. It was also interesting to read about how we all learn in our own different ways. I first learned sewing in high school. I took to it like a little duck to water! I made most of my clothes more out of necessity than anything. Now, many decades later, I am picking up sewing again and enjoying getting back into it. I am so glad there are so many indie designers out there. I also enjoy reading your blog and seeing your makes! Customising and smaller craft projects are great ways to start. Good luck! Clothes sewing is just sewing like any other sewing. Nothing intrinsically difficult about it. My grandmother and mother both made clothes. 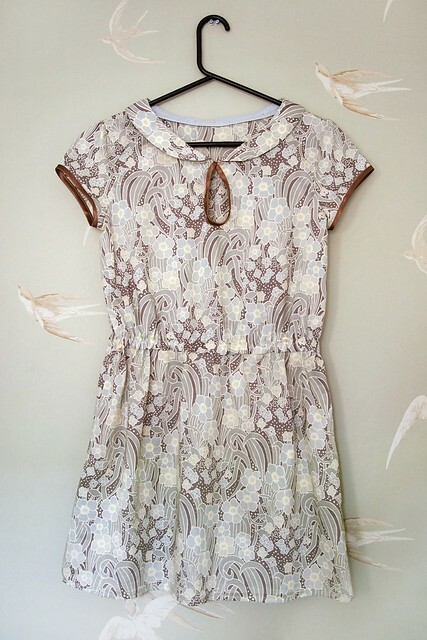 As children we hardly ever wore store-bought dresses. So from the age of 15 I started sewing. First I made dolls clothes. Strange because at that stage I was way too old for playing with dolls. (Not that I ever really did!) But I loved designing outfits for them- maybe because I could use scraps of fabric and making a mistake wasn’t a disaster. I could simply toss the failure in the bin. I was 17 when I started using patterns and making my own clothes up until I was 32 and had my children. My grandmother always promised me that I would inherit her Bernina when she died. And she did leave it to me, bless her! Love that machine! There wasn’t much time for sewing for a while, but I took it up again about 3 years ago and also bought an overlocker a year later. I was amazed at how much the sewing world has changed during my break from it. Doll clothes sound like a great way to learn. How nice to have your grandmother’s Bernina. Great post and comments. I am self taught too though miles behind you in journey. My Nan was a seamstress, my major regret in life was that I got into sewing after she died. It would have been wonderful to share this sewing world online with her. She would have loved it. I’m really enjoying reading everyone’s comments. Lots of people keeping it in the family! You don’t need to learn to sew. People don’t do the sewing, the machine does, as most people seem to eschew hand skills and when they don’t are not good at them. Best stick to the machine if that is the case. You can do a practice run or two with your machine and then just make something. It isn’t rocket science. The instructions are on the pattern or if you need more info, any dressmaking book will talk you through a step you haven’t done before. There isn’t a hierarchy of skills needed. If you can work a machine then just use it to make the things you want. No need to work your way up and through some imagined learning curve. Things might go wrong but then they might on your 100 zip just as much as on the 3rd or 4th. A zip is a case in point with the special fear factor attached to them. Much of sewing involves attaching one piece of fabric to another. A zip is no exception. Nothing special about sewing in a zip, no special skills required. I see what you’re saying, and agree that fear shouldn’t be an impediment – I’ve never stopped fear from making me push my skills and try something, whereas some people like to practice the same thing over and over to get it right before moving on. But I think fearlessness is definitely earned with experience; a lot of sewing is down to confidence and ability to identify and fix mistakes. I see a recurring theme that involves ones grandmother. My story is no different. My Mom was a bit of a tomboy, so she didn’t pick up the skills from my grandmother, but I did. 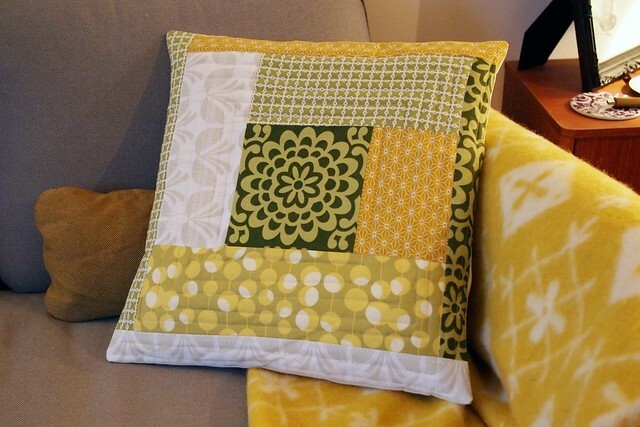 I started out making quilts with my grandmother when I was about 8 years old. She comes from a long line of seeing, working in a garment factory in Los Angeles, and then quilting pretty much her entire life. She still makes a lot of our gifts to this day. I thought I wanted to be a fashion designer up until after high school so I asked my grandmother to help me with garment making in my last year of high school. It’s been about 17 years total of trial and error for me! Thanks for sharing! I’m really enjoying all the comments! My mom sewed lots of my clothes when I was small, and was always very passionate about quilting. She’s one of those crafty types that’s good at everything- it’s gross! :) She tried to teach me to sew clothes (and to quilt… and to embroider… and to cross stitch.. and to crochet) and it just didn’t work! I was an impatient tomboy with ADHD and just didn’t have the focus for detail work. About four years ago a coworker convinced me to take a sewing class with her and I reluctantly agreed. It was a three hour class that taught you how to thread and run a machine and we made a stupid-looking fabric wallet (basically a rectangle with a flap and velcro. But somehow I really fell in love with the feel of manipulating fabric under the foot and found the whole experience super hypnotic. Once I saw the cool things sewing bloggers were creating, I was really inspired to try new things and learned so fast thanks to all the awesome tutorials and sewalongs that people shared. We’re lucky to live in a time where it’s so easy to learn new skills just by watching YouTube videos or photo tutorials! I agree, the Internet is definitely a great enabler for this hobby! TWO YEARS!?! Get out!!! That’s incredible. I thought you’d been sewing for a lot longer. You’re so good!!! Wow. I found your blog today while looking for a better method to finish the neckline on my latest project, and I’m thoroughly enjoying it! While I’ve been sewing ever sense I was five (my first project was a pillow), I have only really been sewing clothes from scratch for a couple years, and using a machine not much longer. Having just completed my first top with sleeves, I’m excited to learn more, and I’ve already done so in stumbling through here! Thanks, and I look forward to reading more! Thanks for stopping by Ashe, happy sewing! Thanks.. Any advise on a first time machine?